The Review: Rucy's Vanity Products | Top Beauty Blog in the Philippines covering Makeup Reviews, Swatches, Skincare and More! Hey guys! I hope you're all having an awesome day. Today I thought I'd share my thoughts on some of Rucy's Vanity products which were sent to me by them a few weeks ago. I actually have already read a lot of pretty amazing reviews about their products so when they asked me if I would love to share what I think about their stuff of course, I said yes. Rucy’s Vanity is a 100% Korean cosmetics brand offering high quality cosmetics in a more reasonable price to create a beautiful life. The brand initially targets budget-conscious Filipino consumers, which value both affordability and quality of their skincare and cosmetic products. All products are certified from the Korea Food and Drug Administration and Philippine Food and Drug Administration (FDA). Rucy’s Vanity is confident that their products will be loved and patronized by the Filipino consumers. 1. It has whitening and moisturizing properties. 2. It feels very light on the skin. 3. The shimmer effect it gives to the skin is really beautiful. 1. The glitter / shimmer is a tad bit chunky for my liking. 2. It is a bit hard to blend. 3. Only available in one shade. 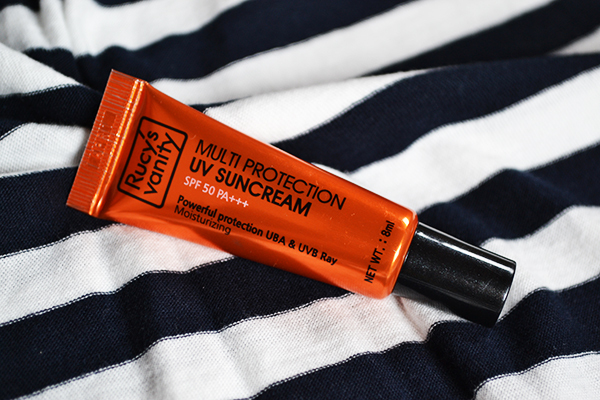 RUCY'S VANITY MULTI PROTECTION UV SUNCREAM - Packed with UV Protection of SPF 50 PA++ , this facial sunscreen is moisturizing yet non-greasy. Perfect as a makeup base to smooth out skin texture while priming the skin. 1. It doesn't feel greasy to the skin. 2. It does not have any weird smell. 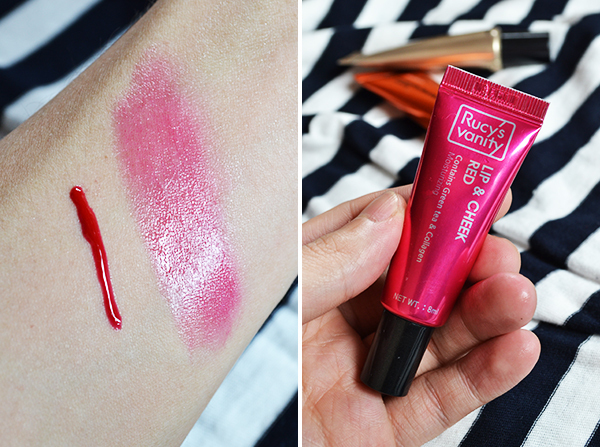 RUCY'S VANITY LIP AND CHEEK TINT - This dual-purpose liquid stain gives lips and cheeks a hint of natural-looking colour. Can be used under gloss for added intensity. 1. Very pigmented. 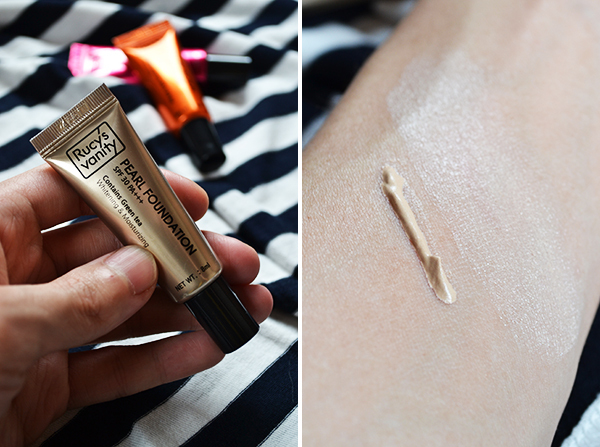 Of all the lip and cheek tints I have tired before I can say that this is probably the best in terms of pigmentation. 2. A little goes a long way. 3. It doesn't make my lips feel dry. 1. The consistency is a bit too thick for my liking. 2. Its consistency is too glossy for te cheeks. 3. It dries quickly that's why you need to blend this product really fast. 4. Only available in one shade. RUCY'S VANITY QUAD EYESHADOW - Ideal to wear during day to night time - you can create a simple cute look or either a smokey bronze & brown eye makeup look using the colors in this palette. 3. The colors are very versatile. 1. The sponge tip applicator. Overall, I really like and highly recommend for you guys to try their products. I love how affordable but still high quality their products are. If you're in the hunt for some new affordable Korean cosmetics to try out I highly suggest giving Rucy's Vanity a shot. 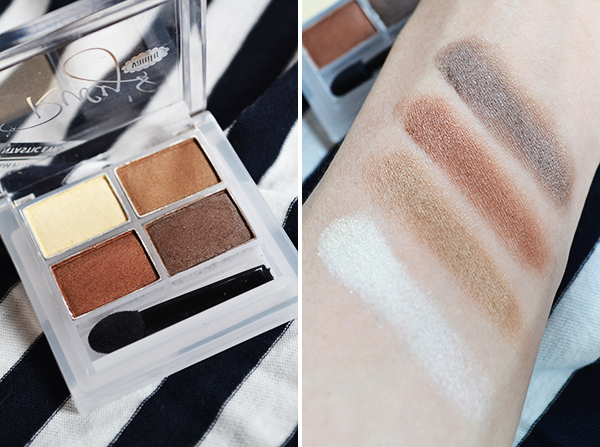 I especially love their eyeshadow quad since the colors are very neutral and can be worn from day to night. Great products!! I love the palette! Great review. I never heard of this brand before. Thanks for this fair review!! I love that eye palette! Great review Miss! I loved the shadows, i like color so neutral. Wow such luxe and beautiful colors! These are all so gorgeous! So precise and detailed thanks! The pearl foundation seems amazing! Hey! I really like your blog and I was wondering can you check out mine and maybe leave a few comments? I had never heard about check tint,but I think I would feel unconfortable with it. Isn't it? Nice products. I love the shadows. Kisses! love all the shades, plus the tubes are so easy to carry. Great products and perfect review!!! These products are really beautiful. Great products!! Loved the review!! Interesting review! Korean beauty products are always great! Many thanks for introducing the products! Swoon! 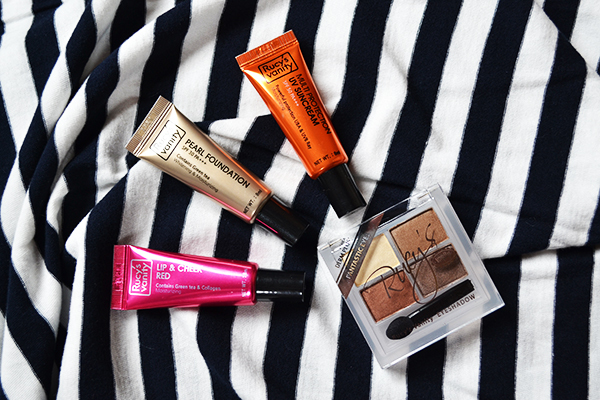 All of these products by the brand look incredible.. particularly the lip and cheek tint!